EPR Properties (NYSE:EPR) is a uniquely positioned triple net lease real estate investment trust (REIT), specializing in highly enduring segments of the real estate industry. We focus on the white space that exists between traditional REITs that are either highly diversified or highly specialized. 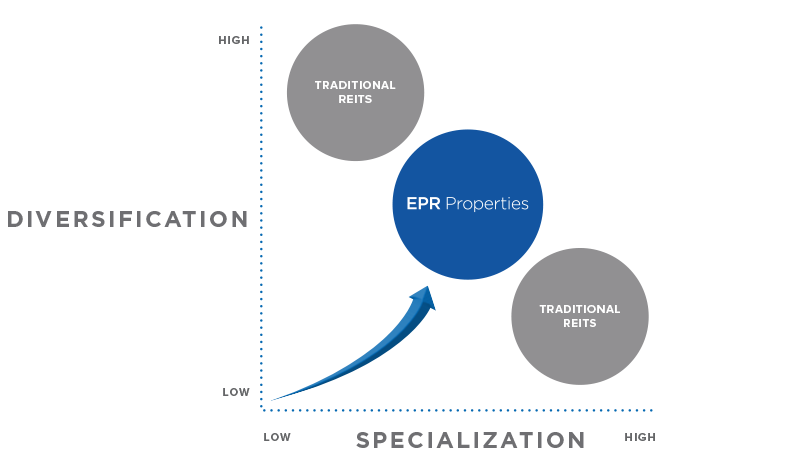 EPR Properties maintains a specialized orientation complemented by diversification across and within segments. 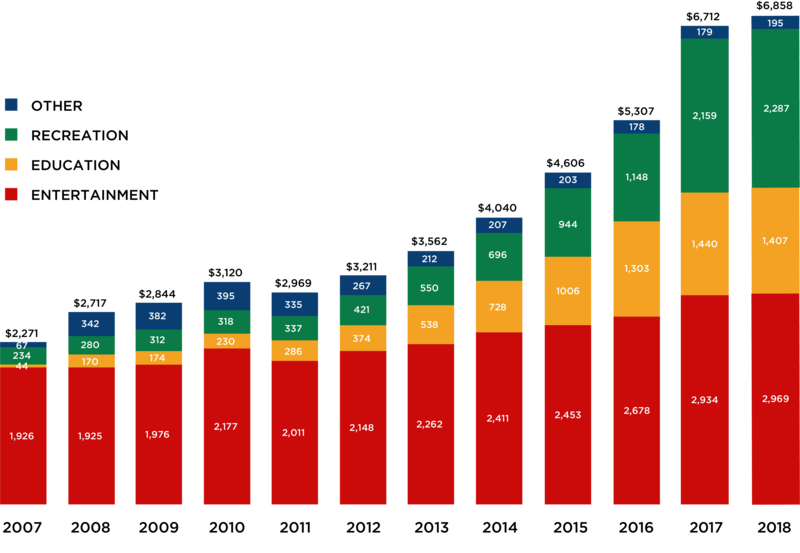 Our strategy of investing in a limited number of segments allows us to focus our attention and develop greater depth of knowledge in our chosen segments but still enjoy some benefits of portfolio diversity. Knowledge supported by research is our strategic advantage. Our long term orientation ensures that we are focused on segments which hold strong potential for sustained growth over time. Our understanding of segment drivers allows us to isolate investments others may overlook and distinguish between real and perceived risk. With 394 properties across 43 states, our strategic focus has yielded superior results. 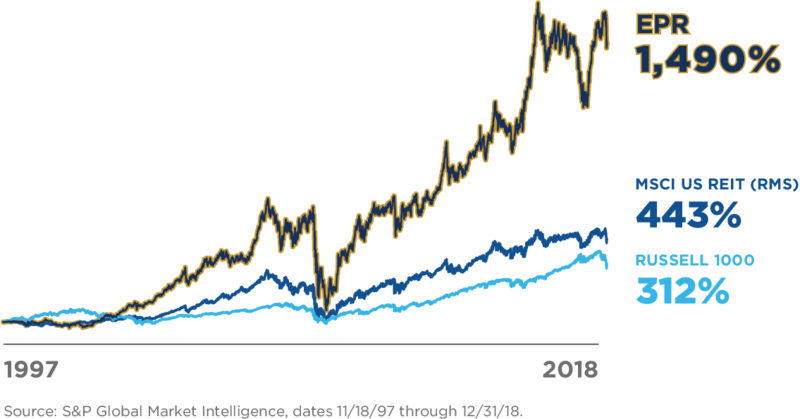 * EPR Properties has considerably outperformed both the Russell 1000 and MSCI US REIT Index in total return, including consistent and strong cash dividend yields. *As of December 31, 2018.